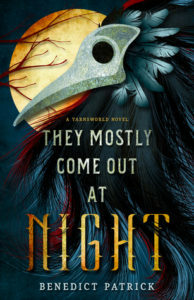 I was initially excited about this book because of the comparison to Tamora Pierce. That comparison didn’t hold true for me. This novel starts with a cliché seen too often, especially in fantasy novels: a dream sequence that hints of larger things to come in a vague way. It seems to be about the dragons from the series title, but don’t get your hopes up, there isn’t a single dragon in sight after that brief dream. If course, it’s also a warning of bad things to come, and the first bad thing happens in the first chapter, so that promise does come true right away. Then we get more clichés: the two main characters are the only ones with mysterious powers, and one of them is the Last of Her People to boot. The story follows the predictable formula from there as they meet each other, then lack trust at first, but must band together on a journey for answers. So the story seems to have a lot going on without actually advancing the plot. 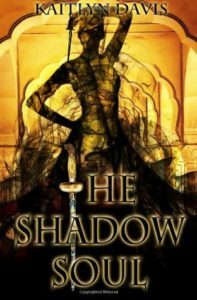 The goal, at least for Jinji, is to find out more about the shadow force that killed her people so she can defeat it. However, she doesn’t tell Rhen about the shadow and lets him make the wrong assumption so they run off in another direction, ignoring the one lead she overheard. It’s not until three-quarters of the way through that she mentions anything and of course he doesn’t believe her. I would sum up this book as a swaggering prince going on wild adventures and teasing his sidekick, a girl disguised as a boy, while she feels frustrated but never says a word to stop him. It took me a long time to read not because it was looking, but it failed to hold my interest. I don’t think I will read future books in the series. I guess this book is setting up a bigger conflict for future books, but I found it frustrating that there was no resolution to this book. I like there to be some kind of payoff at the end of a long read, not just a cliffhanger. Instead I got introduced to a bunch of new characters right at the end and didn’t have an emotional investment before they died. The death in the middle of the book actually had more impact to the characters and to me because there had been time spent with him. There is also a loose plot thread when they promise to help the princess escape the enemy kingdom and then promptly leave without her. I think it’s just a mention to set up a spin-off series, but I thought it was a little tacked on. 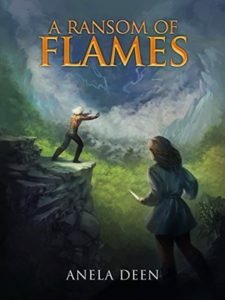 I would recommend this book to readers who like YA fantasy with a lot of tension from unspoken secrets and the sense that the main characters are chosen for a greater destiny but may take some time to get there. It wasn’t for me, but if this sounds like something you could enjoy, then give it a shot. I believe all three books in the series are already published so you don’t have to wait on the cliffhangers, which is a plus. A deadly blight. A crownless queen. A journey to the edge of the world. A mysterious blight devastates the world of Aeden. The Vehlek, dark, immortal guardians of Aeden, have used their power to combat it through a blood sacrifice, one given every season from each of the four peoples. For generations, this has diminished the Blight’s destructive force. But unbeknownst to any, their power wanes and the sickness worsens. Their scripture speaks of Providence, of mortals whose blood, combined with their power, can end it. But as yet, there has been no sign of them. On the secluded islands of Malua, the Blight rots the land and destroys the harvests. The change of the tide marks the new season, and with it, the need for a blood sacrifice. For Maleia, daughter of a murdered king, wife to a usurper’s son, her hopes to reclaim her father’s throne are dashed when her child is stillborn. To her horror, the usurper king intends to use her daughter’s remains as the blood offering, perhaps condemning her small spirit to wander lost and alone. As the Vehlek emerge from their fiery underground caverns to claim the sacrifice, she commits a desperate act to take her daughter’s place, an act that unintentionally binds her to one of these strange, immortal men, and later reveals her to be an element to cure the Blight, as foretold by their scriptures. As the Vehlek seek out the others like her, two remain to guide her as she journeys to the mainland, there to take part in the Council of Peoples and find a way to end the Blight. The quest will take her over valleys roamed by marauders, across a mountain kingdom, and through the vast prairies of the Plains People. The road is perilous, not least because her father’s murderer travels with her. The Blight haunts their steps at every turn. She witnesses it kill, as if possessing a malignant sentience all its own. Every day that passes it grows stronger, as does her strange connection to one of the Vehlek, a bond that is fast becoming something more than it should. With the lives of all hanging in the balance, and time running out, Maleia and the others like her strive to end the Blight. Through blood and flame they will either cure their failing world, or see it fall to ruin. 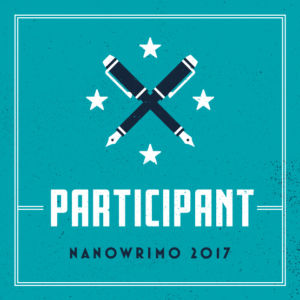 Disclaimer: I’m highlighting books from SPFBO, but I’m not associated with any of the judges or other blogs who are running the competition. These reviews are just my opinion and don’t affect the outcome of the actual competition. 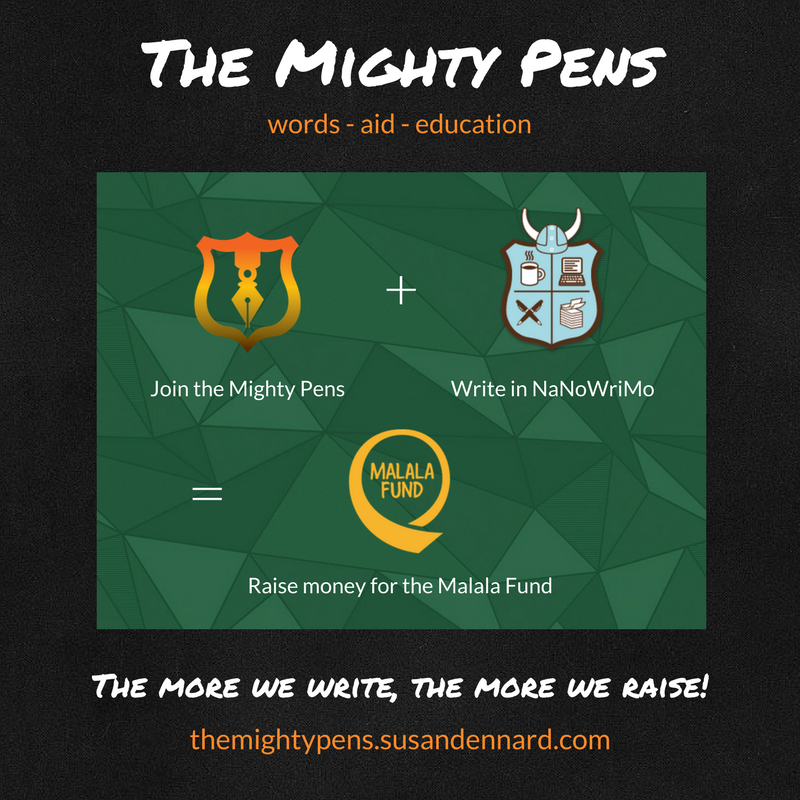 I just saw a lot of great books that sparked my interest so I want to help boost their visibility. The world is also fully realized from the start, and it’s refreshingly different from typical fantasy that’s modeled on western European cultures. Maleia’s tropical island home has more in common with Hawaii and other Pacific cultures, but the culture unfolds in a clear way so I didn’t feel lost because of the unfamiliarity. It felt like the first half of the book was setting up a narrowly focused journey, which was fine. The second half introduced sprawl that would have done better in a series of multiple books or at least more than one POV. It was disjointed and didn’t live up to its promise. I really liked this book in the beginning but I was disappointed as things went on. The ending in particular wasn’t satisfying. It is a stand alone book, not part of an apparent series, but given the awkwardness I would be reluctant to try other books by the same author. I’m not sure who I would recommend this book to. It’s unusual and goes in several different directions so it’s not easy for me to come up with any comparisons. Not enough romance for romance fans, not enough epic scale for epic fantasy fans, not enough introspection for fans of more philosophical fantasy. I think this might be a case of a book that tried to do too much or had a lack of focus to the narrative. 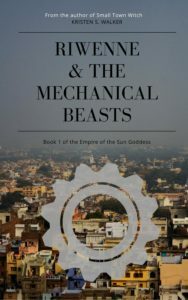 It seemed like classic fantasy at first (the Chosen Ones of prophecy must unite to save the world) but it deviates from that type of story too much. 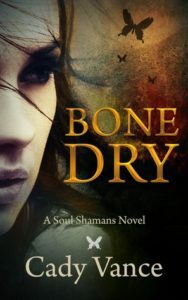 There is also a sale currently going on for self-published urban fantasy novels. Click the graphic below to find lots of great books for free and 99c. 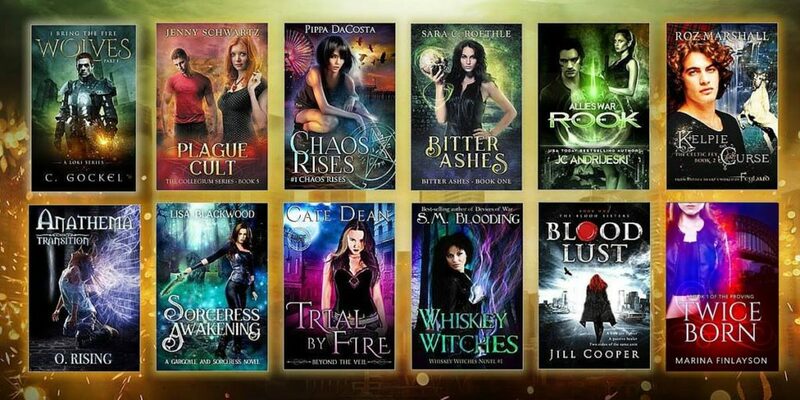 Includes my book, Small Town Witch, along with lots of other bestselling books! The fairy tale only seems to give a loose structure to the story, though, because the main focus is on a murder and conspiracy. The complex politics require a lot of dense information from the beginning so it’s slow to get into. I did realize this is the second book in a series, although it seems to have different characters from the first, so I don’t know how much it helps to know from the first book. I think it’s more likely that the author wanted to throw readers into the middle of things and let them figure things out for themselves. So while I can follow things, sometimes I have to go back to reference previous scenes to keep track of the large number of names being thrown about or puzzle through what’s going on. It’s not a light read by any stretch–and some of the details seem less than necessary, like the elaborate clothing or dances. By the time Isabella is forced to live in the Beast Lord’s house to save her father, she already seems to growing to like him and I already had a good guess of who the murderer was (disappointingly, I was right, so there weren’t any surprises from the second half on). I thought the focus would shift to developing the relationship at that point, but it stays on chasing red herrings and arguments while the actual romance is so understated that you could almost blink and miss it. Overall, it was an interesting premise, but lacked in execution. Both plot lines suffer from being bogged down by unnecessary side plots about Isabella’s many friends and worrying over the servants in the house. I think if more time had been spent on the main story instead of background flavor and world building, it might have done better. Minor quibble: Trophy and Topher have very similar names but it’s crucial not to mix up these two characters. I’m not sure I would recommend this to fairy tale or Austen fans. It falls somewhere in the middle with a lot of politics and intrigue mixed in. Maybe suited to fans of Mercedes Lackey’s fairy tale series, since it reminded me of that. Favorite meal: chocolate cake! Isabella indulges in a lot of tasty-sounding food, but her favorites seem to be tea and chocolate, and the chocolate cake sounded very tempting. Not the book to read on an empty stomach! 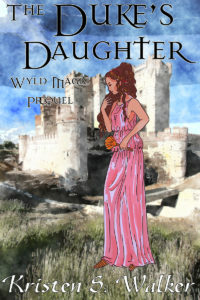 Today is the release of “The Duke’s Daughter”, a prequel to the Wyld Magic series. It’s a novella about Korinna before the events of A Flight of Marewings. I hope it helps to shed some light on her hopes and feelings before the death of her father overturns her life. Korinna is the daughter of the duke’s mistress. She and her mother were sent to a farming estate in the country to avoid political complications for her father. Her mother hopes that someday, the duke will bring them to the capital and marry her at last, but he keeps putting them off with excuses. But he has his own plans to arrange a marriage for Korinna when she comes of age. When a magical plague threatens the countryside and her mother’s life, Korinna takes up the responsibilities of leading the estate. She begs the duke for help, but none comes, leaving her with difficult choices to save her mother and her people. She must sacrifice many things to survive: the safety of her childhood friend who is now a handsome squire in her guard, her mother’s most cherished possessions, maybe even her own life. Being the duke’s daughter won’t be enough to save her now. Can she find the strength to be something more? The healer, an old woman named Nysa, lived in a little tower on the wall, with her own herb garden in the courtyard below. Since they didn’t know what kind of illness had struck the tanner and his wife, she brought an entire healing kit along with her, a heavy basket stuffed with packets and jars of medicine. Korinna offered to carry it but the healer clutched the basket as if it were more precious than gold. The tanner’s cottage was easy to find in the village, standing some distance apart from its neighbors to keep the smell of curing hides from disturbing the other villagers. But when they were still some yards down the street from the home, Nysa put her hand out and stopped the rest of the group. “Don’t go any closer,” the healer warned. “This is no ordinary sickness.” She pointed at something along the ground near the cottage. Korinna had never seen miasma before; the last time it had struck, she was only an infant, but she’d heard stories about the destruction that followed in its wake. “Where is Father Isokytres today?” she murmured to Aeson. She knew the local priest traveled out from his shrine on a weekly rotation, visiting all of the villages under his protection, but in her moment of panic, she couldn’t remember which one he was scheduled to be at. Korinna forced herself to clear her mind, tied her skirts up at her waist to be out of her way, and took off running without another look back. She stretched out her legs and took deep breaths, pacing herself as she followed the road north. Sestyn was only the next village up the river, but it was five miles, and she needed to save her strength to make it the whole way. Slow and steady would serve her better than an all-out sprint. 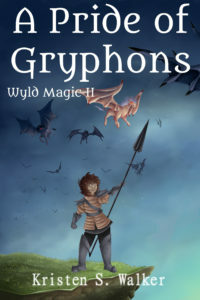 A fast-paced urban fantasy teen novel with an interesting premise. The shamans and spirit world were defined and added a lot of mystery to the story. Also, I really liked Holly, the main character. She had more depth than I expected from a comic book-loving con artist. I read the whole book in a blur in about two days. The action doesn’t let up from the moment the book starts, even when she’s with the boy she has a crush on, since he gets pretty involved in the main story. She also has a great friend in Laura, who I wanted to hear more about. There’s got to be more to her story how she ended up being adopted by a normal human despite her shaman powers. Despite the serious tone and action, there was time for little spots of humor here and there. I liked the comic book references in particular. It made Holly more relatable to know what she did for fun when she wasn’t dealing with such major issues. With the fast pace, some novels tend to make the romantic relationship develop too quickly, leading to some people labeling them “instalove.” This book avoids that problem because Holly already knew Nate from school and the attraction existed before the story starts. The plot finally brings them closer together to let the sparks fly and the relationship feels pretty natural for two awkward teens. It’s actually really cute the way that Nate volunteers to be her “sidekick” and finds ways to help out even though he has no shaman powers of her own. Also, I’ve got to give a shout-out to the animal companion. Astral is her adorable kitty and he even helps out at one point. He’s not as involved as a full-blown familiar, but it’s nice to have a pet, at least. The main plot of the book does get resolved, but it opens up new story possibilities for the sequels. It seems like Holly still has a lot to learn about being a shaman and deal with spirits. I’ll probably pick up the next book in the series to see where it goes after this. 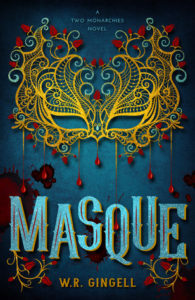 I’d recommend this to anyone who likes teen urban fantasy. It’s a solid example of the genre, with more focus on the magical side of the story than trouble at school or other teen problems.